NINA SUBIN, LITTLE, BROWN CO.
Before a packed audience at the Literary Sojourn readers' festival in Steamboat Springs, Colo., Latino author Luis Alberto Urrea resurrects a smidgen of delicious fear from his childhood in a San Diego ghetto. With wide, expressive eyes and lilting accent, he tells of his "ferocious aunt" - La Flaca, The Skinny One - a chain-smoking vixen with glittery cat-eye glasses, a raspy cackle, and a penchant for telling the kids blood-sucking horror stories on Christmas Eve. "She used her brain to terrorize us," Urrea remembers. "How could you not be a writer with all that?" As the October weekend progresses, it becomes clear that Urrea was weaned on the stories of his many aunts - caregivers, medicine women, spiritualists who talked to ghosts and believed in exorcisms, hauntings and ESP. His American mother may have launched his literary career by sewing together the pages he wrote on a World War II-era typewriter when he was 12. But it's Urrea's pantheon of aunts - the Yaqui, Maya and Apache women who were related to his proud Mexican father - who nourished the root of his inspiration. 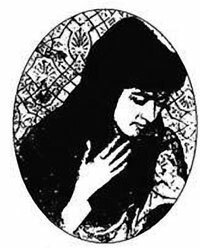 And none of them captured Urrea's imagination more vividly than his Great Aunt Teresa Urrea, also known as Teresita and the Saint of Cabora. Renowned for her healing powers after rising from the dead at her own wake, Teresita was a hero to thousands of Mexican pilgrims, but was denounced as a heretic by the Catholic Church. Urrea spent 20 years researching Teresita, but it took celebrated Native American author Linda Hogan to get him to finally write down her story. Urrea lamented to Hogan, "My Western mind can't get around all the indigenous stuff I have to learn," to which Hogan replied, "The Western mind is a fever. It will pass." The resulting novel, The Hummingbird's Daughter, he calls a story about daily sacredness. "I like sacredness without religion," he says, repeating his writing mantra: "Less Mormon Tabernacle Choir, more James Brown." 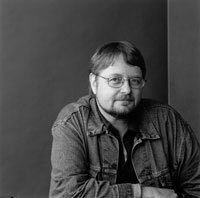 Over the years, Urrea's work has garnered many prizes, including a Lannan Literary Award, an American Book Award and a Western States Book Award. He has been inducted into the Latino Literary Hall of Fame. Most recently, The Devil's Highway was a finalist for the 2005 Pulitzer Prize. He teaches creative writing at the University of Illinois in Chicago, and finds his own mentors in writers such as Annie Dillard, Leslie Marmon Silko, Joan Didion, Edward Abbey and James Welch. Many of Urrea's stories focus on life and struggle along the border. Himself the product of a meager border upbringing, the fair-haired, light-skinned author still reveres his heritage - even today, as a middle-class, much-admired adult, lounging in a ski-town pancake house far from the gritty world of his childhood. He made a pact with God, he says, during his years of "bloody and horrible and painful" missionary work alongside residents in the Tijuana landfill, to give a voice to the voiceless. He spent nearly 10 years putting that profound experience into words: Across the Wire, his first book, is a heart-wrenching diary of the daily struggle, and the daily joys, of life in the garbage heap. He published it at the humble request of a Tijuana brickmaker who told him, "I was born in a garbage dump. I've worked all my life in this dump. You tell them about me. You tell them I'm here." Urrea still hears that brickmaker's voice. It's clear in the evolving intricacies of his next novel, about seven rural Mexican girls who scheme to import young men from America to revitalize their emigration-ravaged town. "When I started writing border books, there weren't any," Urrea says. "Nobody who writes gets to be here in these paper shacks. It was such an endless sorrow." Urrea scorns what he calls "my day at the zoo books," penned by authors who spend a week at the border and come away with an immigration expose. In The Devil's Highway, a true story about an Arizona border crossing gone tragically awry, Urrea set out to reveal the humanity of a group of Mexican men in search of the American dream, who died deep in the desert. Along the way, he came to realize that the border patrollers were human, too. Urrea was profoundly moved by agents who cashed their paychecks to buy groceries for immigrants, and by cowboys who carried nearly lifeless immigrants out of the baking desert, often for miles: "That, to me, is the Western ideal." "I didn't start out onto the political," Urrea says. What he offers is an astute perspective on the quagmire of immigration, with a storyteller's deeper interpretation. "My real desire is not to advocate for anyone. I don't see myself as some immigration czar. I'm trying to write haiku." The author is a freelance journalist based in Steamboat Springs, Colorado.